The trip leader will determine the minimum paddling skill and/or fitness level required to maintain safe conditions for all participants. A member’s participation will be at the discretion of the Trip Leader. In the event of any disputes arising during a trip, the Trip leaders decision will be consider final and binding. Use the right type of boat for the conditions. A small, recreational open cockpit boat is acceptable for small ponds, creeks and harbours. A sea kayak (14’+) with fore and aft bulkheads is recommended for larger bodies of water and multi-day trips. Get some professional instruction and learn proper paddling techniques, bracing, and rescues. The ability to assist in a rescue and perform a self-rescue is essential. Practice these skills. Cold water kills! Be aware of the possibility of hypothermia, even in the shoulder seasons. (Canadian regulations consider water temperatures of less than 15C dangerous) Dress for water temperature, not air temperature. Wear a wet suit/dry suit when paddling in cold water. Hot air kills too! Be aware of hyperthermia. Always have plenty of water with you, a hat, loose clothing for sun protection and a method of cooling down your body temperature. Always wear a PFD (personal flotation device). Follow CSASVR and Peninsula Paddlers requirements. Paddle with a partner whenever possible. Learn about navigation and map reading. Carry a compass, phone or GPS. If you are in doubt about the water or weather conditions and your skill level, do not hesitate to admit it and sit out a paddle. At the launch site, listen and adhere to the plans for the paddle, such as destination, approximate duration, shuttling plans, rest stops, anticipated conditions, emergancy procedures, contingency plans, etc. Do not hesitate to provide assistance and encouragement to any novice paddlers. Make sure you have filled out a Medical Information Form. (Blank forms are available on the club website) Put a copy in a ziplock bag and tape it to the underside of yourfront hatch. On multi-day trips, give a copy to the Trip leader too. 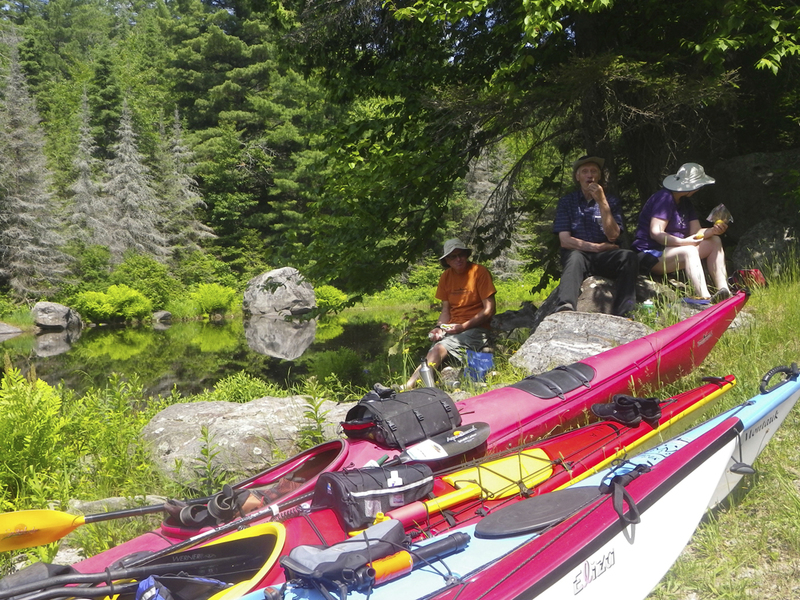 Please notify the trip leader in advance if you intend to attend a paddle, and please notify the Trip Leader as soon as possible if you are unable to attend a trip you have signed up for.